Attraction Introduction: Luxury sailing in Miami, Florida touring Biscayne Bay and sightseeing trips to the Floria Keys aboard a 40 ft beneteau ocanis 40CC top of the line sailboat. Sailing on Biscayne Bay is a relaxing way to spend an afternoon or enjoy a magnificent sunset while sailing on a luxury sailboat cruising through Biscayne Bay or the Florida Keys. They offer three day cruises to an exotic Island which includes a visit to the 3rd most beautiful coral reef in the world, Molasses and the Christ of the Abyss. Private and group sailing trips available. 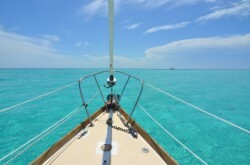 Sailing in Biscayne Bay offers 2 or 3 Hour Sail, 4, 6 Hour, Full Day Sail and more to Biscayne bay and in the Florida Keys. Visit their web site to review all the sailing packages and discounts to make your visit in Miami one to remember. Attraction Introduction: Beautiful beaches, summer nights things to do, attractions, accommodations, dining, specials, discounts and much more more. 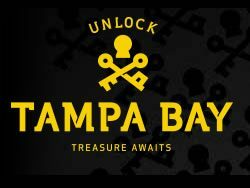 Visit Tampa Bay web site provides loads of information about the Tampa area and is chock full of information from local businesses, civic leaders and the community who have formed a partnership to service your need for loads of accurate, official and reliable information about the Tampa area. The information provided on the site has you and the pleasure of your travels as the first priority. Music festivals, concerts, events, dining, boating and information for tourists, travel professionals and locals alike. Be sure to log in and review their popular blog “The Tampa Bay Buzz” for the latest happenings and articles about the Tampa area. Those seeking deals and discounts, check out their CityPASS booklet, which offers almost 40% off on nearby attractions.